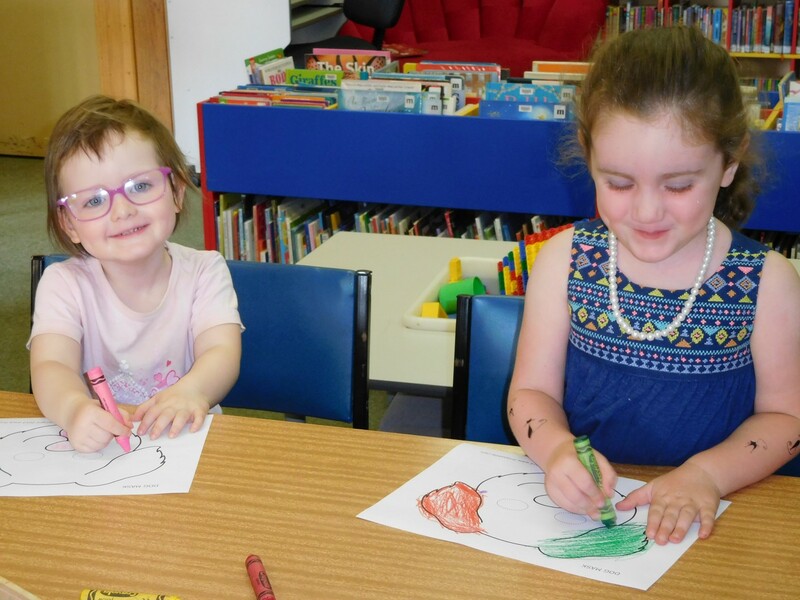 Summer Reading Club is here! 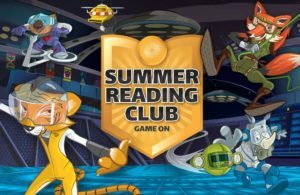 Keep up your reading skills all summer long by joining in the activities with Summer Reading Club. Libraries across the country are looking forward to a summer celebration of sports, games, technology and team spirit as they encourage their young library members to play, solve, participate and read. This year’s theme is Game On! Register for Summer Reading Club at your local library and go online to Summer Reading Club. At Orange City Library enjoy Wii games, boardgames and a challenging Eye Spy! and Orange Library* at 11am. *Orange Storytime will feature a Circus Storytime dress up theme and performance by the Orange High School Circus Troupe. Storytimes will resume during the school term in the New Year. We wish all our pre-schoolers, parents and carers a Merry Christmas and a Happy New Year. So another controversial book for Pageturners with some people disliking it and others loving it, with ratings ranging from 2.5 to 4.5 out of 5. 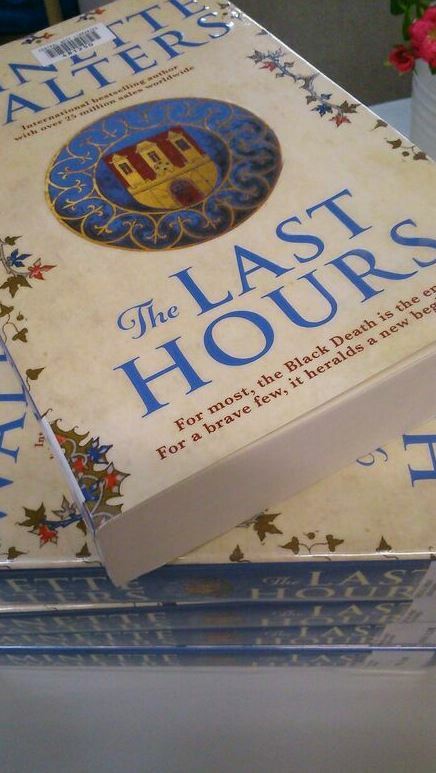 The book is The Last Hours is written by bestselling crime author Minette Walters and is a about a group of people battling to survive the black death in 1348 England. A major point of discussion was the ending which is basically left open for the sequel and snippets of the sequel were included at the end of the novel. Everyone agreed this was an unusual way to finish the book. We are hoping the sequel will tie up all the loose ends. The next meeting will be held on Wednesday 13th December at Orange City Library to talk about favourite reads during the year and suggested holiday reading. 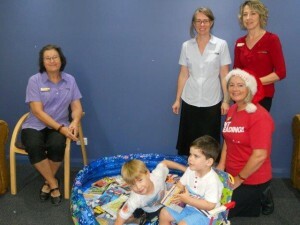 Cowra Library Staff are ready to supply customers with summer reading materials. Come in to the cool Library and dip into the pool filled with adventure stories, OR check out the digital media display offering music CDs, DVDs and audio books all with a Christmas or Summer theme. Today we played carols to set the scene and I heard customers humming in (and out) of tune . The kids loved singing out loud! Their favourite was “All I want for Christmas is my two front teeth “. The disc comes with the book which Maryanne read to them today. Come in and pick up you Summer Reading Club pack. This year’s theme is Adventure! Bargains, bargains, bargains. Celebrate National Garage Sale Day with us and pick up a book bargain or two. From 10am to 2pm on Saturday 25 October we will be releasing books to the community for sale. Books are priced from 50 cents each and magazines just 20 cents. So come along and buy a book or two. Also check out bargains like chairs, tables and display shelving from the Orange Visitor Information Centre, Art Gallery items and more – all at Byng Street.